This mammoth limited-edition five-disc box set from Concord Records includes remastered and expanded editions of Raiders of the Lost Ark, Indiana Jones and the Temple of Doom, and Indiana Jones and the Last Crusade along with 2008's Indiana Jones and the Kingdom of the Crystal Skull and a bonus interview disc with composer John Williams, all with rare photos and extensive liner notes. The remastered trilogy is also available separately. 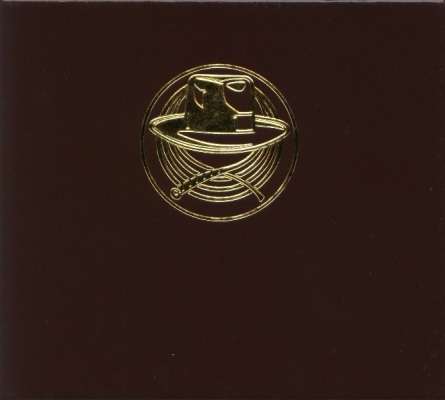 Limited 5-CD box set with faux leather cover and embossed gold logo. CDs are housed in digi-paks (each containing an extra booklet), except disc 5 which comes in a cardboard sleeve. Comes with an additional 32-page photo booklet. TM, * & ? 1981 & 2008 Lucasfilm Ltd.
TM, * & ? 1984 & 2008 Lucasfilm Ltd.
TM, * & ? 1989 & 2008 Lucasfilm Ltd.
TM, * & ? 2008 Lucasfilm Ltd. This compilation TM, * & ? 2008 Lucasfilm Ltd. All Rights Reserved. Used Under Exclusive License to Concord Music Group, Inc. Manufactured and Marketed by Concord Music Group, Inc. Printed in the U.S.A. Motion Picture Artwork, Photos, TM, * & ? 1981, 1984, 1989 & 2008 Lucasfilm Ltd.